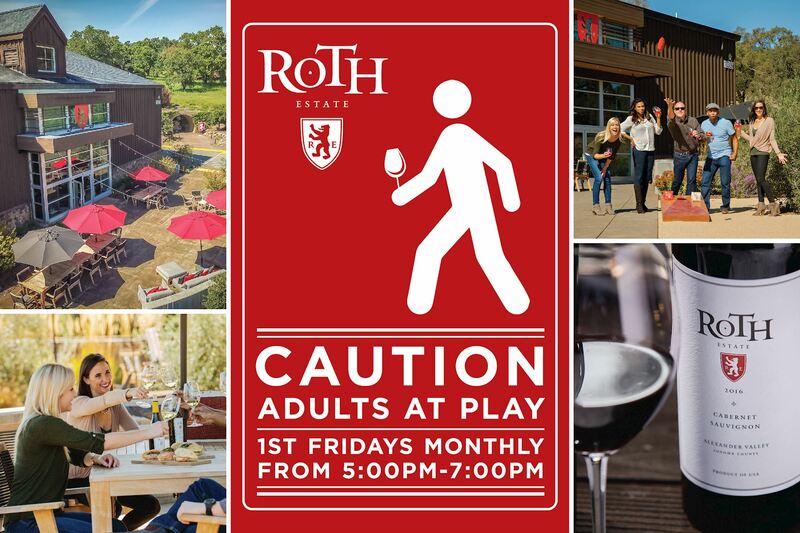 Roth Wine Club members and Guests are invited to come taste the new releases, pick up selections and enjoy live music and tasty small bites. 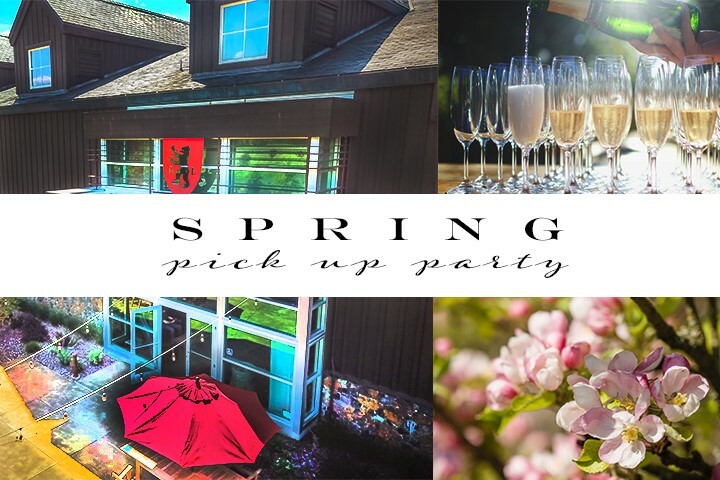 We will have games to play, prizes to wine and lots of Roth hospitality to share. 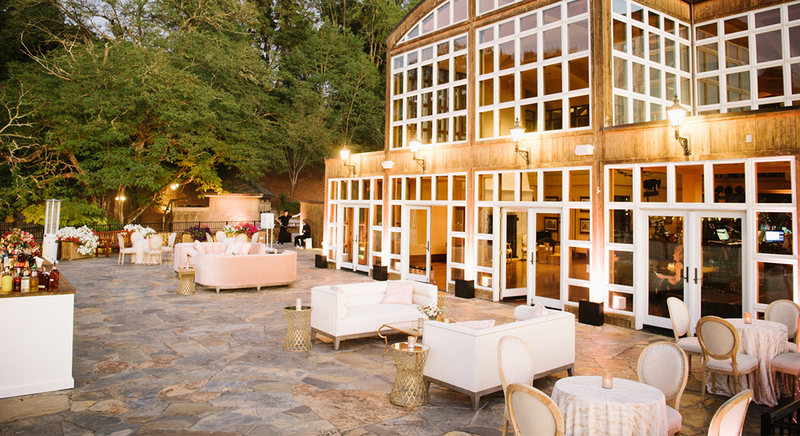 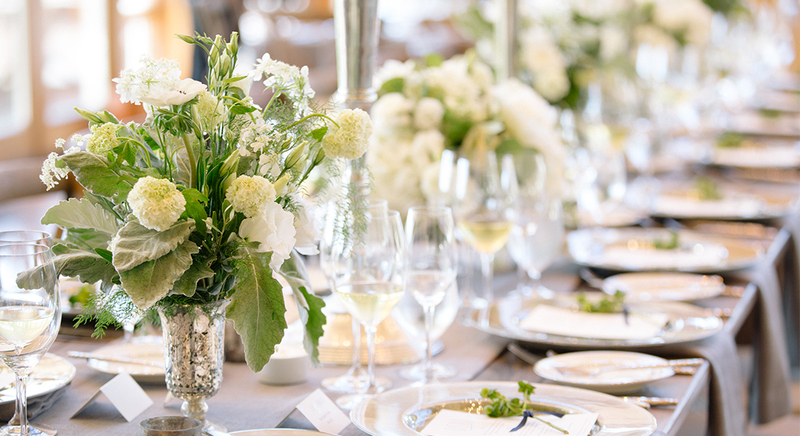 You’ve worked hard all week, now relax hard with your favorite Roth wines and the ultimate line-up of live music, bites prepared by our Culinary Team, and outdoor games. 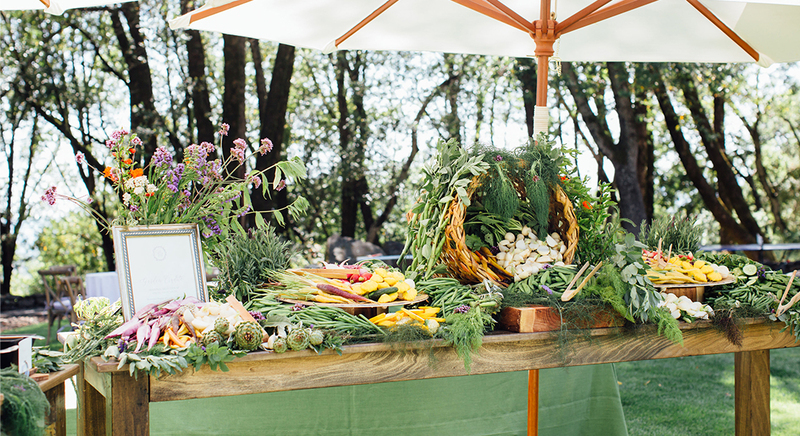 Complimentary to attend. 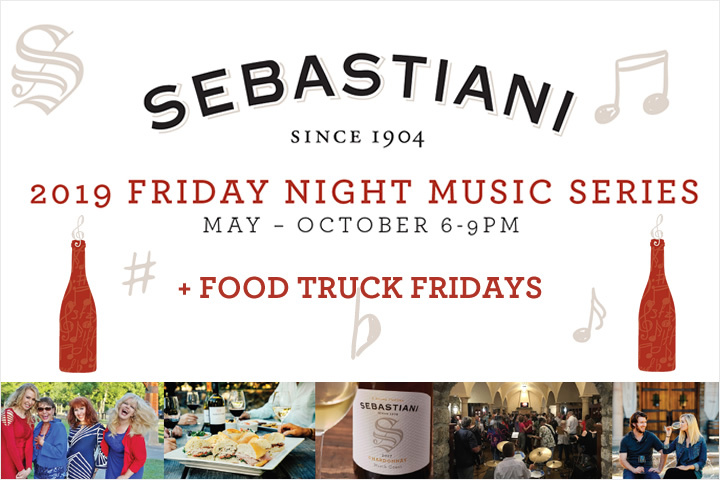 Visit Sebastiani on Friday evenings from 6-9pm May through October at our family-friendly Friday Night Music Series with live music, wine, and tasty treats available. 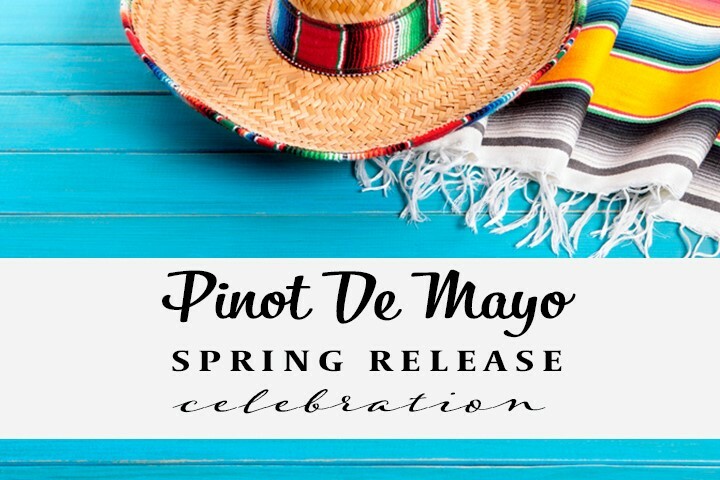 Join us at Doe Ridge Estate Vineyard and shake your Maracas at The Four Graces Pinot De Mayo Celebration, come enjoy our newest releases and small bites with Spanish flare. 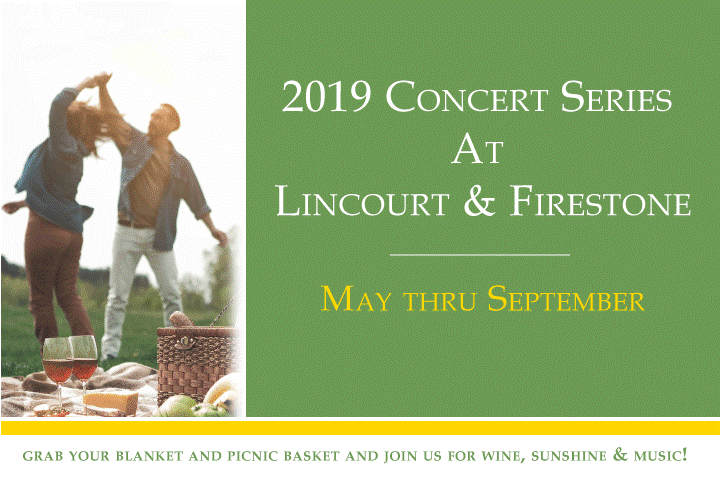 Grab your blanket and picnic basket and join us for wine, sunshine & Music all summer long at Lincourt and Firestone. 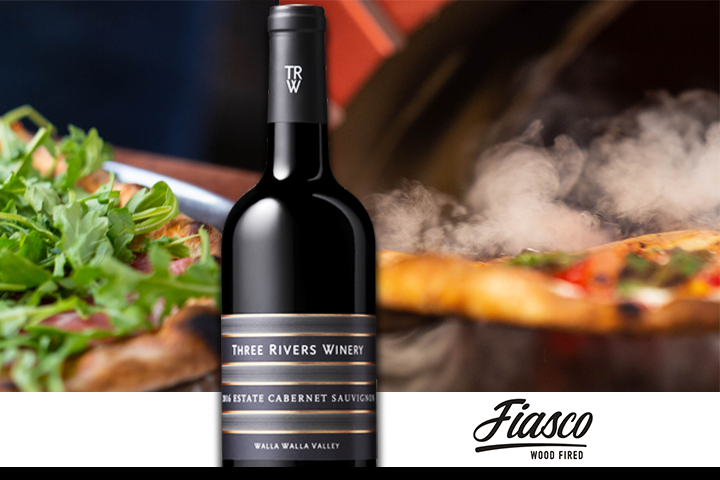 Enjoy sipping on our exciting new releases, and partake of Fiasco Wood-Fired Pizza's over-the-top gourmet pizza offerings! 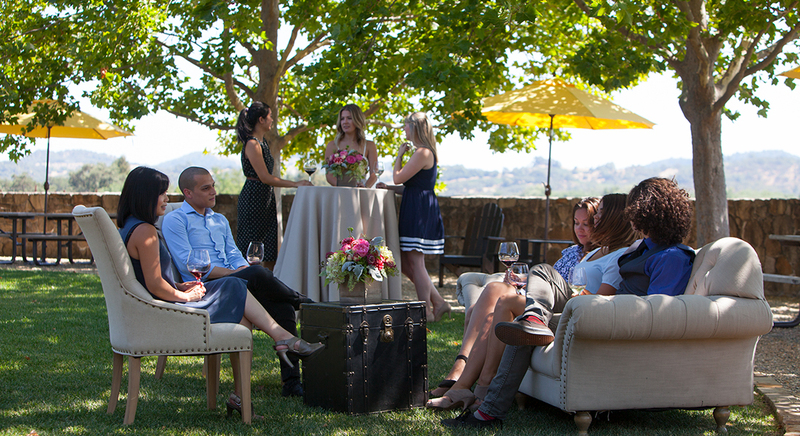 Live music and our expert team on hand to taste the new releases. 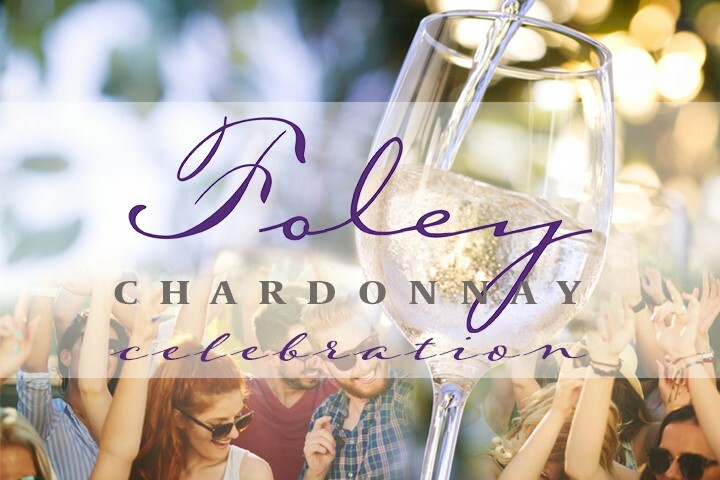 Celebrate Foley Johnson's new releases at a Cuban-inspired Wine & Vine event. 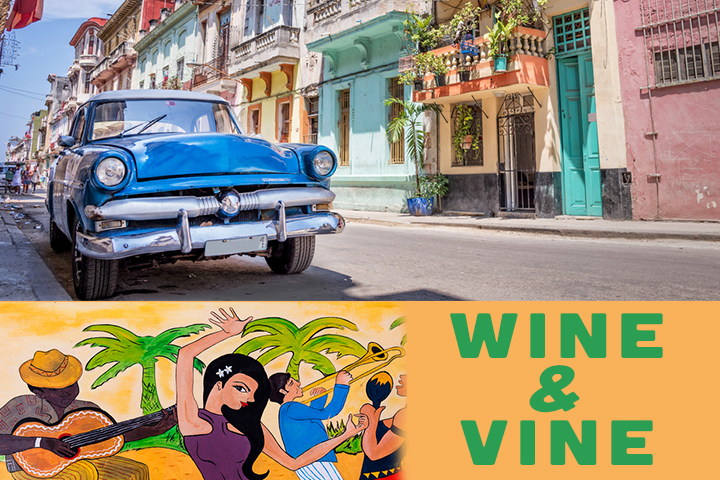 Enjoy Havana-themed live Music, paired Cuban bites, good people, and great wine. 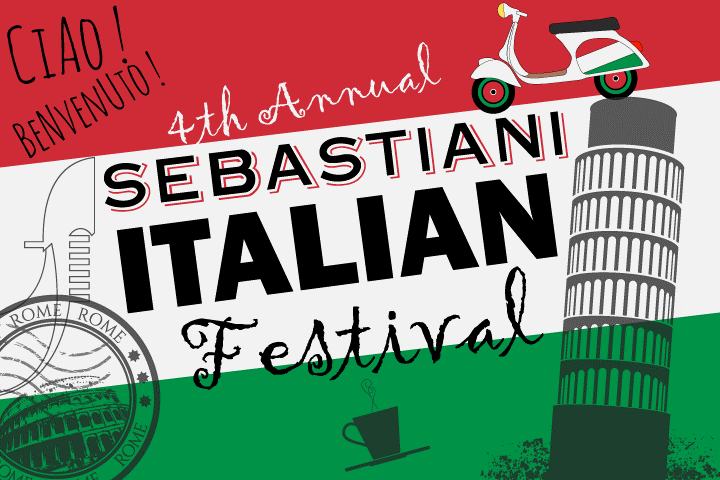 Sebastiani Club Member Exclusive! Join us in celebrating our Italian Heritage with an array of Italian traditional Mediterranean cuisine, wine, and festive live music. 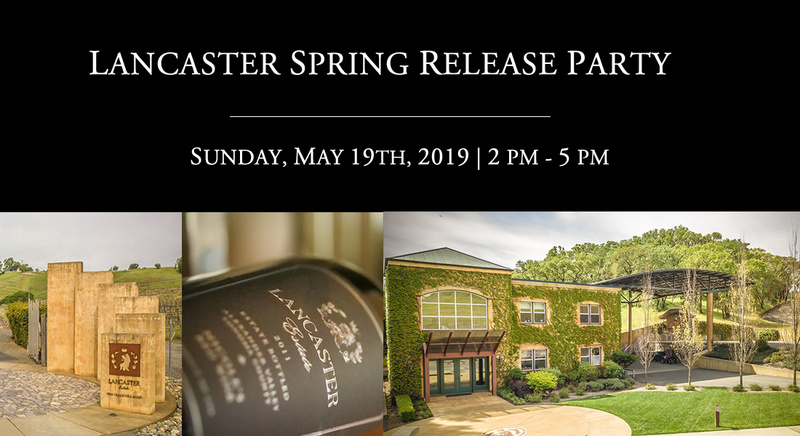 Join us for an afternoon of enjoying sweet & savory small bites paired with our freshly released wines! 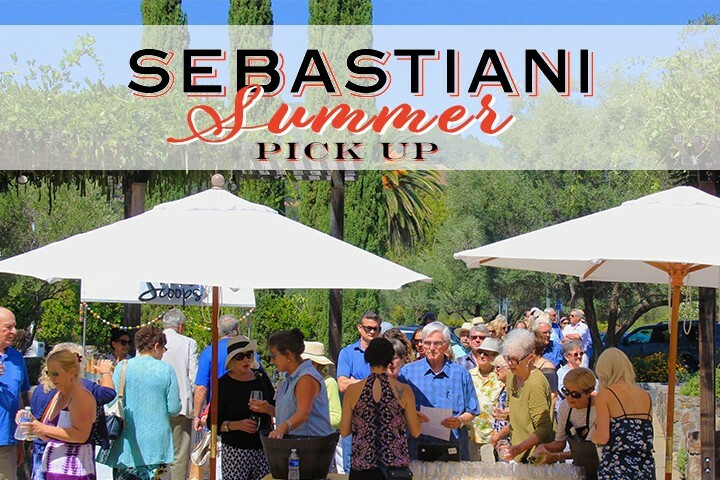 Spend time with the Sebastiani Team, get to know which of our wines best suit your summer palate, and take advantage of exclusive.